Many debates over politics and policy begin with a battle over language. Before all sides can hash out their differences, there must be an understanding of what their words mean. From the months following 9/11 right up to the current CIA confirmation hearings for Gina Haspel, the misuse of a vital term has hindered clarity and progress on a key issue. On the first day of her answers before the Senate Intelligence Committee, the word even impeded what should be a clear path to the title she seeks. Those questions have always been profoundly misleading. The crucial error has been defining lawful and justifiable questioning techniques as “torture,” a term that denotes abuse of power, motivated by a desire to punish, or even by sadistic satisfaction. That has never been what we do. There is no defense for torture, as properly defined. It is what the North Vietnamese did to our soldiers in Hanoi. It is what drug cartels do to captured enemies. It is what North Korea did to Otto Warmbier. It is not what American intelligence officers have done to save lives. If this seems like an assertion that it’s not torture if we do it, that is precisely my point-- as long as our intentions remain noble, our behaviors clearly defined, and the practices closely supervised. “Torture” has always had a negative connotation presuming a sinister motivation. This is the exact opposite of what Haspel and the CIA have been about, and it is an offense to logic to continue labeling our practices as such. One may favor or oppose sleep deprivation, cramped confinement or waterboarding, but these practices and others were employed in the cases of carefully screened detainees in an attempt to secure information vital to defeating jihadists and saving lives. It may be tempting to invoke the views of John McCain, who was indeed tortured by the North Vietnamese. Today, he unfortunately equates that horror to what his fellow Americans honorably did to serve our nation as he has done. So where do I get off questioning McCain’s view on the subject? I rest on two answers, one broad, one specific. The broad anecdotal testimony is the nearly two decades I have spent speaking to veterans and active duty military, on and off the radio. They do not unanimously support enhanced interrogations, but I can count on one hand those who have shared the McCain view that we are torturers. The specific voice I rely on the most is Rep. Sam Johnson (R-TX), retiring after nearly 30 years in Congress and his own seven years in the Hanoi Hilton. Like McCain, he was brutally tortured by the North Vietnamese. Unlike McCain, he did not return to America with the willingness to smear our post-9/11 war effort with such harsh criticism. In answering questions Wednesday, Haspel seemed to stub her toe on this years-long mischaracterization of CIA techniques as torture. Under fire from disapproving Democrats, she revealed that she would not oversee a return to such procedures, even under a lawful order from the President: “I support the higher moral standard that this country has decided to hold itself to. I would never, ever take CIA back to an interrogation program,” she said. Sorry, ma’am, that is not your call. Count me among those who have strongly supported Haspel’s nomination. But more importantly, count me among those who would expect her to follow lawful orders from the Commander-in-Chief without bogging the nation down in needless moments of introspection. Our discourse will be unburdened if we can resist attempts to hijack the language for political gain. The left must be congratulated for its multiple successes. Abortion is “reproductive freedom,” confiscatory taxation is “investment” and enhanced interrogations are torture. Opponents of such practices are free to characterize them as unduly harsh, unnecessary, discordant with “American values,” or whatever. I would disagree on all counts, but those are matters of opinion. To fine-tune a famous Daniel Patrick Moynihan quote, we are entitled to our own opinions; we are not entitled to redefine words. Once we free ourselves from the years of miscast debate over American “torture,” we can honestly argue the pros and cons of how our nation has extracted intelligence from certain sources. And who knows? 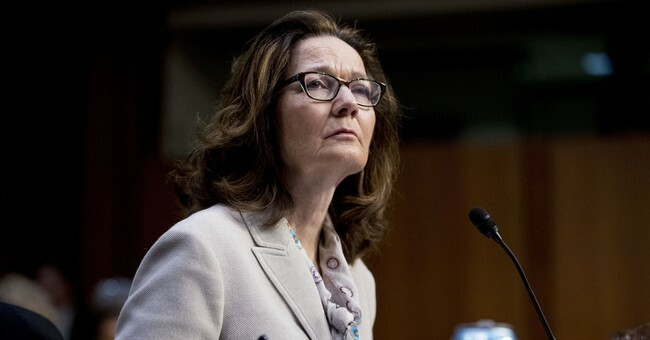 Once we stop surrendering to the language of the CIA’s detractors, even its future director might rethink her contrived objections to orders she may one day receive.